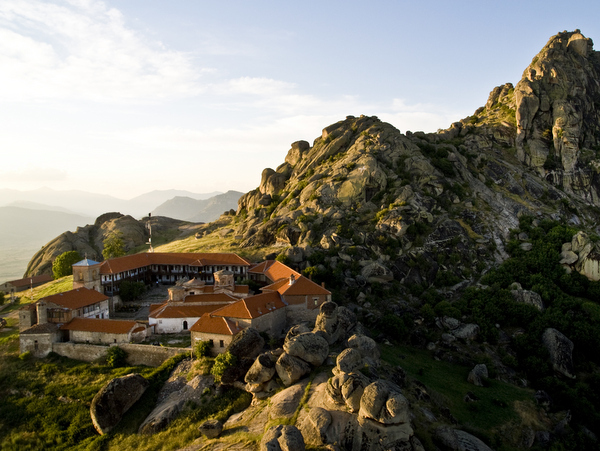 They say, Treskavec takes your breath away twice. The first time for sure, whether you have climbed the steep mountain path for almost two hours, or you went for an adventure to get to the Monastery with an off-road vehicle. The second time, when you're almost there, the view opening in front of you will take your breath away for sure. 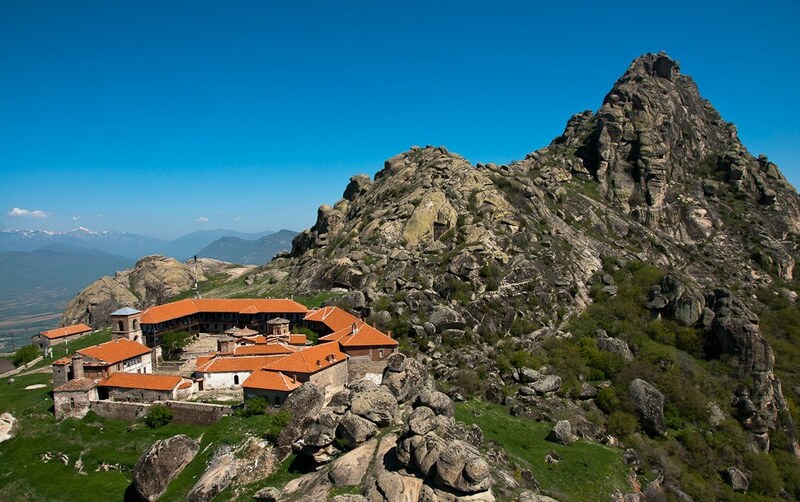 High on a mountain top in the middle of the Pelagonia plain, the Treskavec Monastery is a vertical peak of the spiritual continuity of a nation that hides many chapters of history, human presence written on every rock throughout the ages. Zlatovrv (Golden Peak) is crowned with the Monastery walls dedicated to the Dormition of Most Holy Bogoroditsa, and from them one can observe the immeasurable horizon of spiritual peace, but also the challenge to accomplish communication with God. 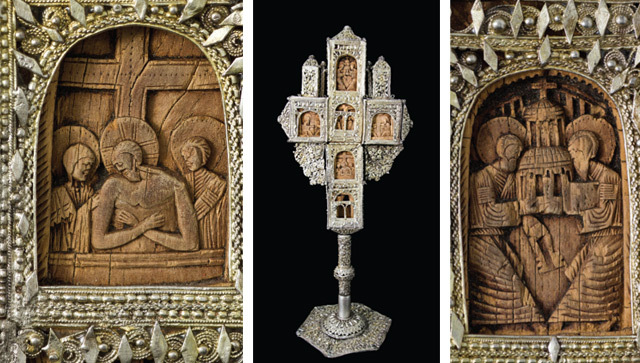 Marko Tsepenkov, the collector of the people's wisdom of this region, has noted these verses that praise Bogoroditsa's thankfulness to the saints that have built the Monastery. "O, you holy God's men, you have cast away the heathen, and from their pagan church, made a church for me, and called it a Monastery." The remains of the fort around the Monastery, the necropolis Gumenje, the graves carved in the rocks, the traces of objects all around the Zlatovrv plateau, the niches built in the west wall of the church, as well as those scattered all around, witness that a heathen temple dedicated to Apollo and Artemis existed there, as well as a populated place called Kolobaisa, one that existed beneath Zlatovrv for more than 800 years. The first Christian church on this site is dated around the 5th or 6th century. The most of the church architecture visible today is dated from at least the end of the 12th and the beginning of the 13th century. The dining room with its impressive stone table, as well as the kitchen, are facilities built in the 14th century. 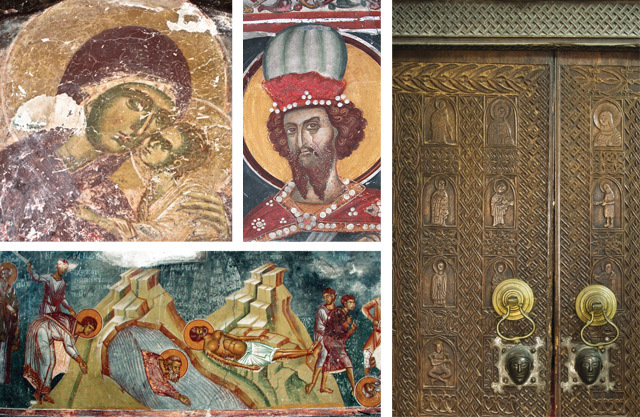 The two-winged door positioned on the west entrance to the narthex of the church, made in the 16th century, is the peak of the Macedonian wood-carving art from the Middle Ages and belongs to the renowned Prilep-Slepche wood-carving school. By the end of the 16th century, extensive manuscript copying activities have been noted, and in the period of the 18th and the 19th century, a cell-school is mentioned. 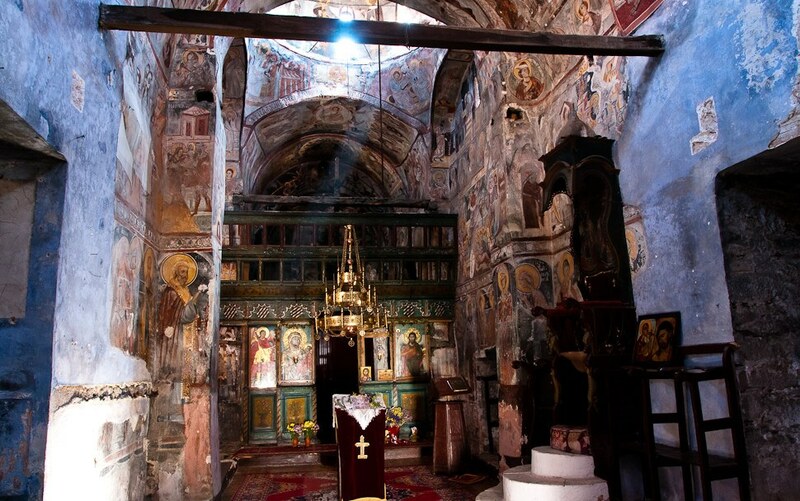 The wall paintings in the church are from different periods. Starting from the oldest paintings from the 14th century, through the 15th, 16th, and to the 19th centuries, when the blind calotte in the narthex was painted. 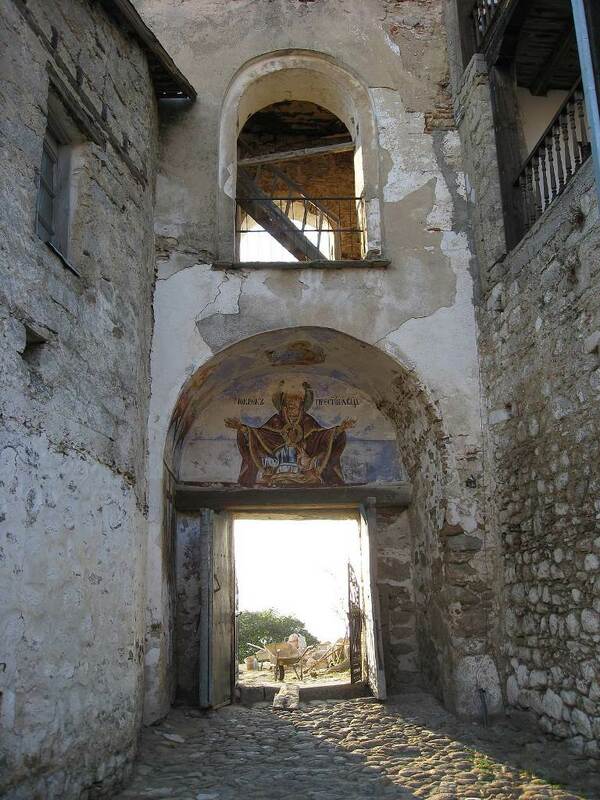 The wall painting of the Byzantium emperors Andronicus II Palaeologus (1282–1328) and Michael IX (1294–1320), above the entrance, points to their patronage of the Monastery. 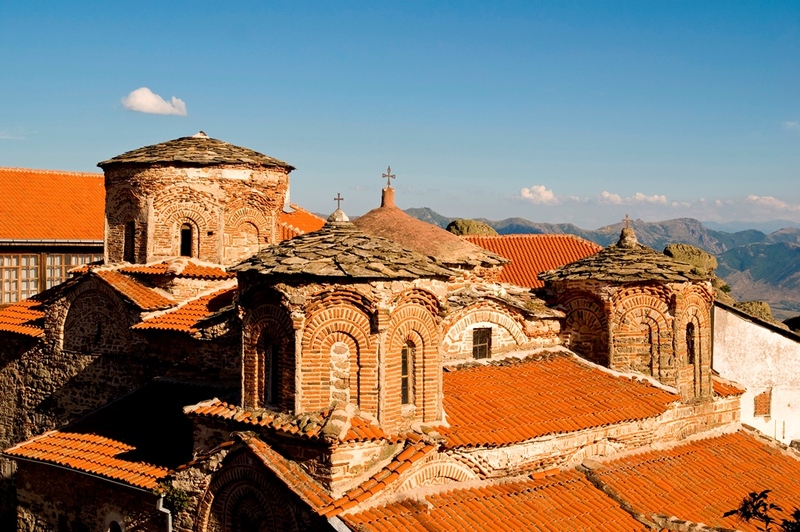 Almost all Balkan rulers and dignitaries from the Middle Ages had great respect for the Monastery. 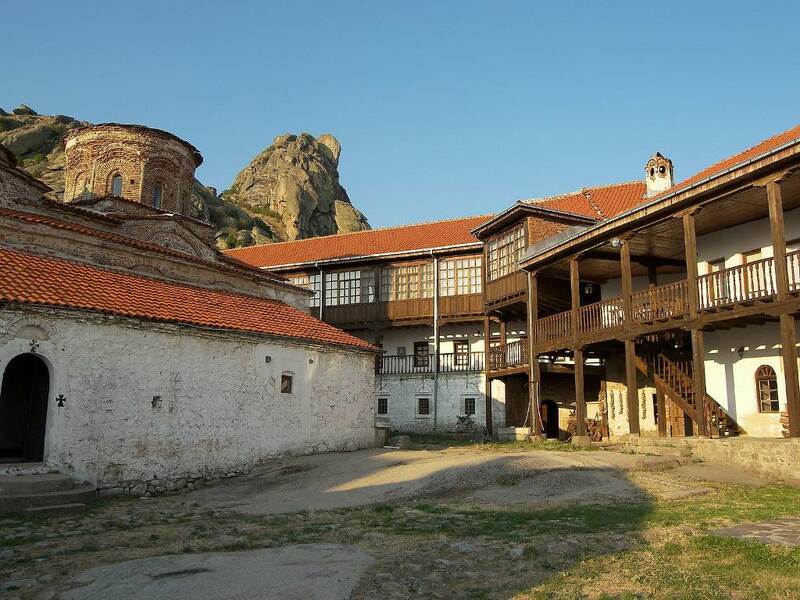 The Serbian emperor Stephen Dushan (1331–55), during a visit to the Monastery, noticed that "it is not so much the building and the interior, but the order and the typicon of the holy fathers living in it the Monastery is most decorated and most celebrated. 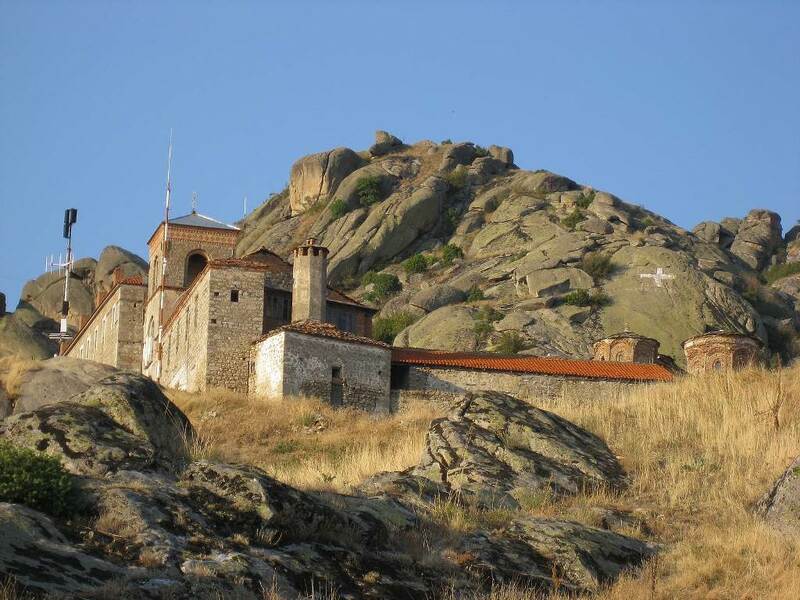 The life of the monks is nothing less that the life of those living on Mount Sinai or the Holy Mount of Athos". 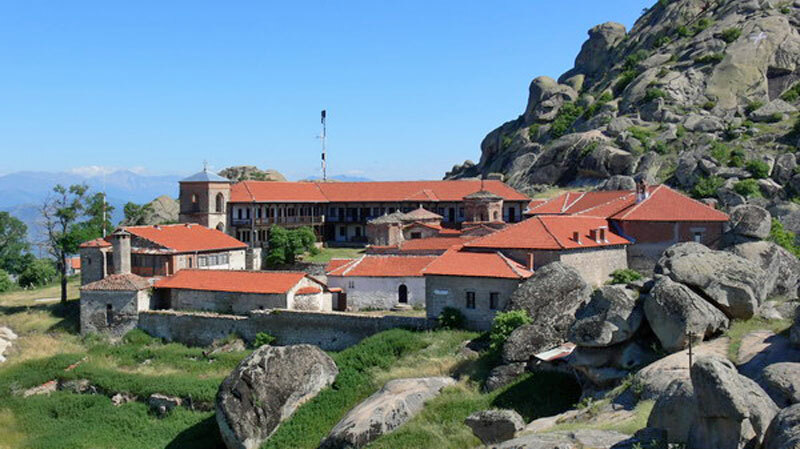 Tsepenkov has noted: "In the Treskavec Monastery, there is a decree from the Sultan, with the hand of the prophet Mohamed, that no tax would be taken from it, and no Turk is allowed to make harm to it. 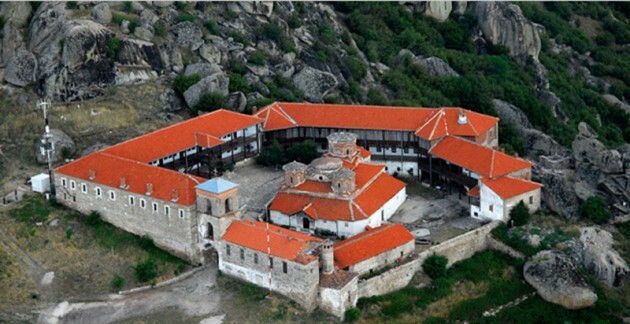 And it is true that our Turks look upon the Monastery with great reverence and the Monastery properties". 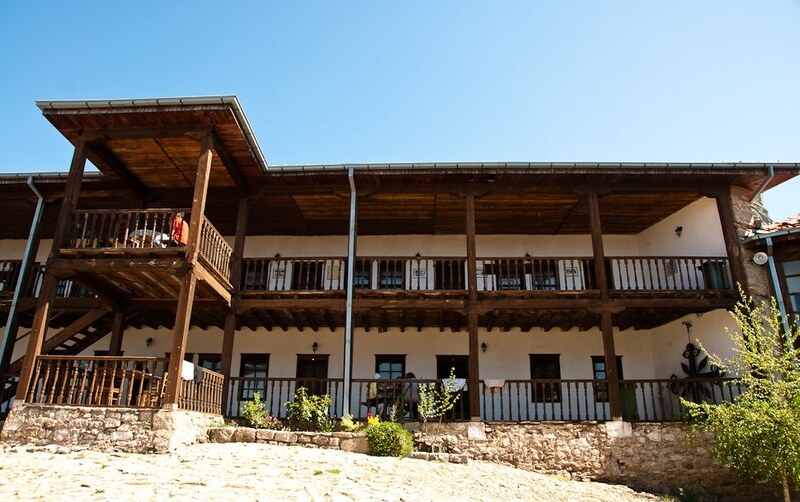 There are many other stories, traditions, legends and historical facts that are untold, but that's Treskavec. So many words are written, and so little is said. We could also talk about the sound of silence, about the tameness of these rough rocks, we could write about the vastness of the sight, or maybe about the proximity of the heights, about the decoding of the mystic cryptography of every step of this mountain. We can also talk about the ontological need of the creation for joining the Creator. However, anyone who climbs Zlatovrv and touches the Monastery walls will hear the prayers of thousands of monks who have struggled throughout the ages in the Monastery and the nearby caves and lonely places, and shall feel the Grace of God, which is poured in abundance here, and in the silence of the Monastery, they shall understand the mosaic called Treskavec, becoming a personal stone in it.